Who else is ready for slow, sunny days, chilled drinks, swimming, and lazy afternoons filled with plenty of time to crochet? Just because it’s warm, doesn’t mean we need to hang up our hooks! My newest collaboration is perfect for your summer crocheting plans and I am so excited to share it with you!! Introducing your new favorite Summer pastime: The Summer Fun Crochet Pattern Bundle. Some of the best Etsy and Crochet Designers out there have contributed to this amazing bundle! Together, we’ve curated breezy, light, and colorful Summer Crochet Patterns to make this amazing, one-of-a-kind super bundle. I can’t wait for you to see all the goodies in the bundle. When you buy the Summer Fun Crochet Bundle, you get over 50 Summer worthy crochet patterns, hand picked, and ready for you! These patterns are so unique and beautiful, and they’re the perfect addition to any pattern collection, which you can return to again and again. 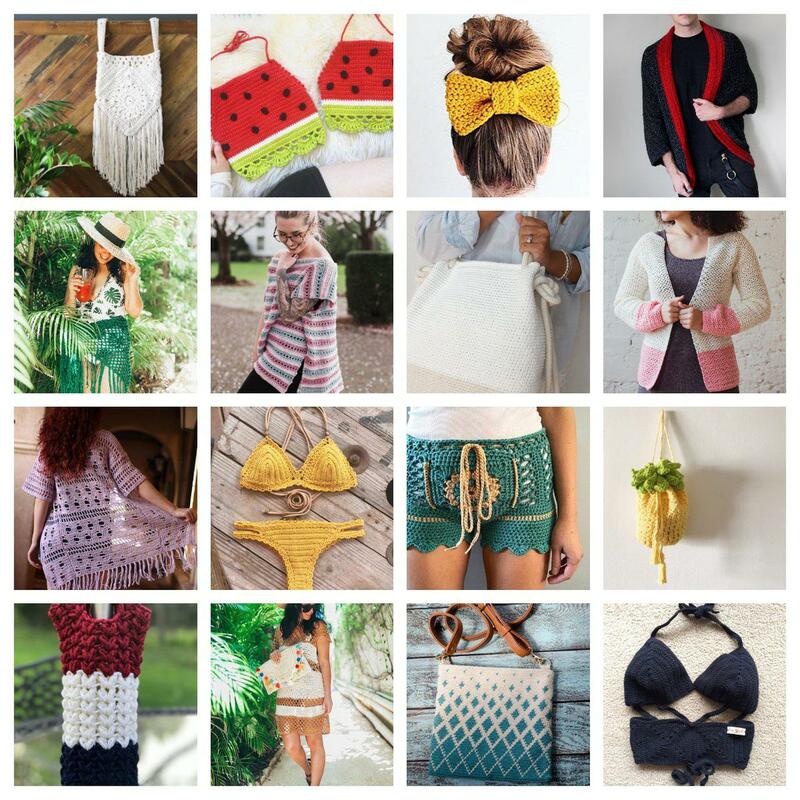 It has everything you need for a sizzling Summer, from swimsuits and cute kimonos to boho bags and wine cozies.Now through June 8th, you can get all 50+ “Summer Fun” patterns. The Newport Hoodie by Mollie of White Owl Crochet Co.
Panel Crochet Halter Top by Serea of The Naked Teapot Co.
Quayside Bralette by Nikolina of Pacific Knot Co.
Boho Anklet by Serena of The Naked Teapot Co.
You can get it all for 90% off the retail price! You’re going to want to snag it up ASAP because it’s only available through June 8th. Plus, there’s no reason not to check it out since it’s backed by a 30 day money back guarantee. They take the risk, you get the reward. Isn’t that how business should be?